Tis’ the season! Today Dej Loaf posted a new track titled “In Living Color (Oh Na Na)” on her YouTube channel. 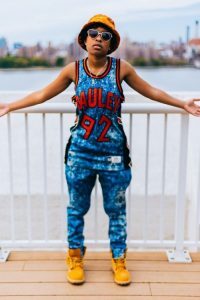 In the video you can spot Dej Loaf standing in the middle of the street of Cape Town, South Africa wearing bright colors and funky old school glasses. She’s letting the world know that it’s possible to make it out of the hood and to prosper. Previous post T-PAIN FEAT - "HAITIAN"